Eskuche and Nu Sky are New York City based DJs / Producers, up and coming troopers of the new school of the Underground Tech House scene. In their music they skillfully combines contemporary sounds and his signature grooves , which form unique sound concept. Fat beats, growling bass lines, shamanic grooves and futuristic new school synthesizers are racing through their music. Knowing each other from early 2000’s and inspired by vibe of New York City they decide to put their innovative ideas and make a collaboration. Started their music way with release on New York City’s legendary label – Nervous Records. Then Eskuche and Nu Sky continues with their anticipated debut on Wally Lopez Spain’s premier music group – Factomania with the release of ‘Phunky Music’. Soon followed the release of “Detroit EP” on TLK Rec. / Talk Musique. This release got huge support in a short period of time! Deep House diva Maya Jane Coles took the “Detroit” in her famous 300 XLR Podcast and then it stayed for a while in her playlist during her residency at Richie Hawtin’s “Enter” parties in Ibiza. The Next huge step in their carrier was support by italian techno ambassador Marco Carola. He supported their tracks ‘Into It’ in the Best Of 2013 Ibiza GLobal Radio and ‘Pulse’ was in his sets hammered all around the world. Music, as a sense of their life, is born over and over again. Their stepped game to the next level with first vinyl release on Material. 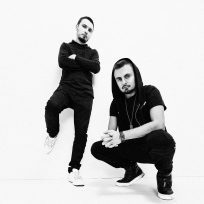 And in same moment their music was supported by get physical artist German Brigante and very soon two big EP’s was released on his label – Series Music. The best is yet to come. A lot of brilliants coming soon, their track Ninety Nine signed to brand new label by Jamie Jones and Lee Foss – Emerald City with confirmed remix by world super star producer MK. Also in schedule remix by Eskuche & Nu Sky for one of Crosstown Rebels stars – Russ Yallop. Will be released in the end of 2014 on ViVa Music. 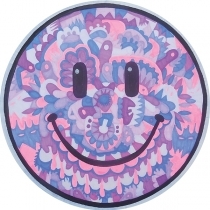 Guys didn’t stop confirmed release with Serkal, Material and one more EP on Hot Creations in a middle of 2015. In 2014 guys launched their own musical imprint – Gradus Records. Its a VINYL only label. First release was 4 tracks EP wax called The Journey, that was quickly sold and rised to n5 on BUZZ chart deejay.de. 2nd vinyl coming in December 2014 by one of the best Boston dj’s Will Monotone and also include banger remix by Eskuche & Nu Sky. This promo quickly got big support and was hammered last summer at DC10 by Hot Creations crew. Eskuche & Nu sky not only killer producers their also high professional djs, they can move crowd non stop all night long. Playing around NYC major clubs like Marquee, Cielo, Pacha NYC and being resident in legendary club Sullivan Room – Eskuche & Nu Sky quickly became well known Dj’s in the city.